Once you have stepped into the New Hampshire you will not want to leave. 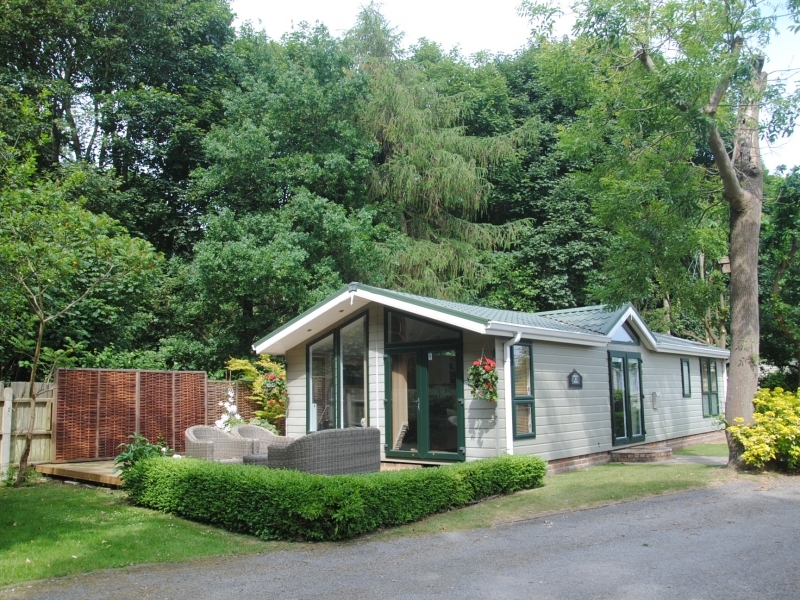 A holiday home you would be proud to call your own, made for your relaxation and enjoyment. The interior is beautifully designed with soft tones giving timeless elegance. 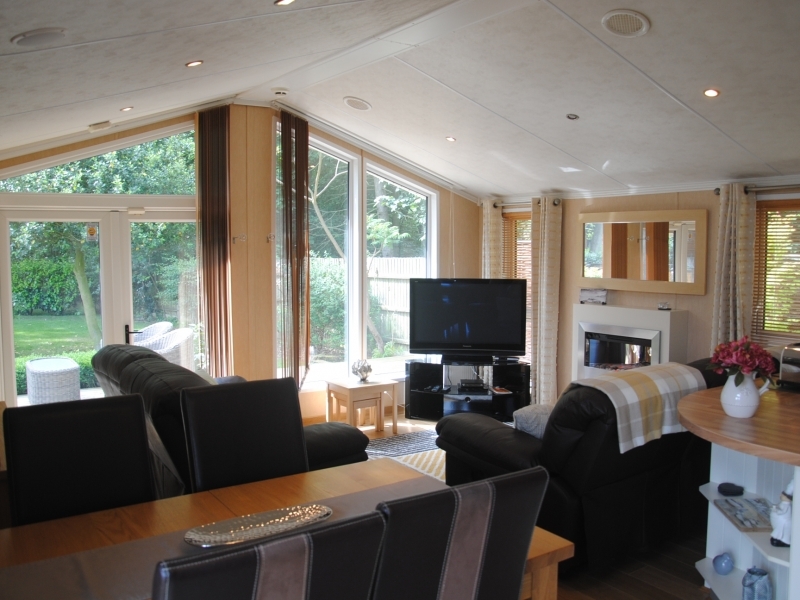 High vaulted ceilings, velux windows, patio doors and tall windows allow natural light to fill the lodge throughout. 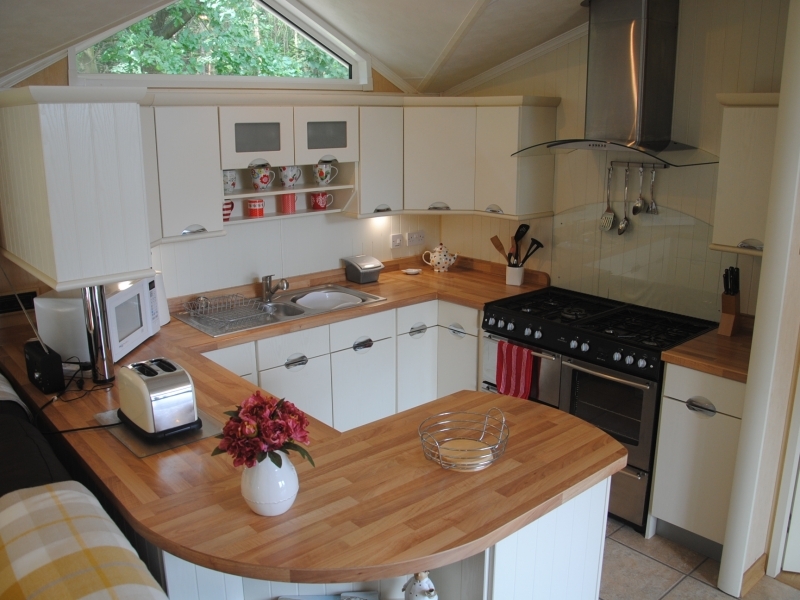 The kitchen is well equipped with a 1,000mm range style cooker with steel extractor above and American style fridge/freezer. Storage space is plentiful and all reached via soft close cupboards and drawers. 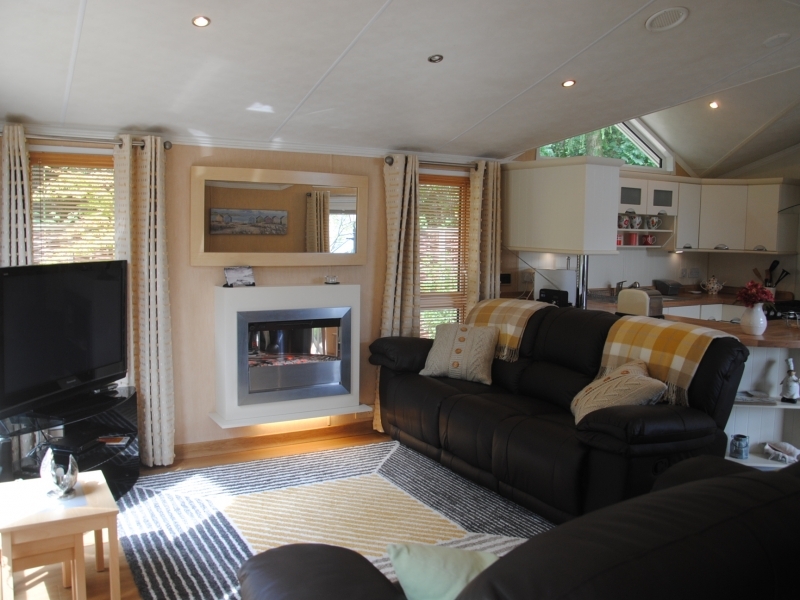 The two bedrooms are both en-suite. The master bedroom has an en-suite bathroom accessed via walk through wardrobe space with hanging and shelving areas. 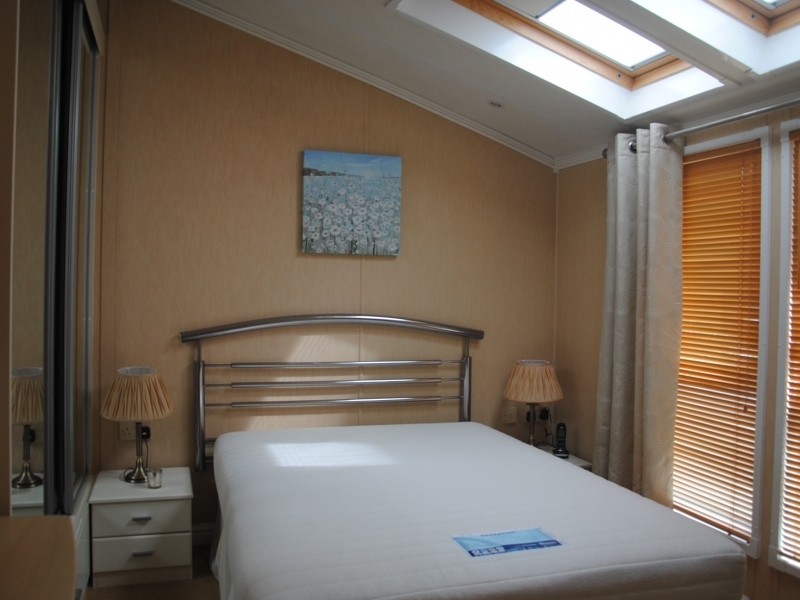 The second bedroom has a double bed, mirrored wardrobe, dressing table and velux windows. 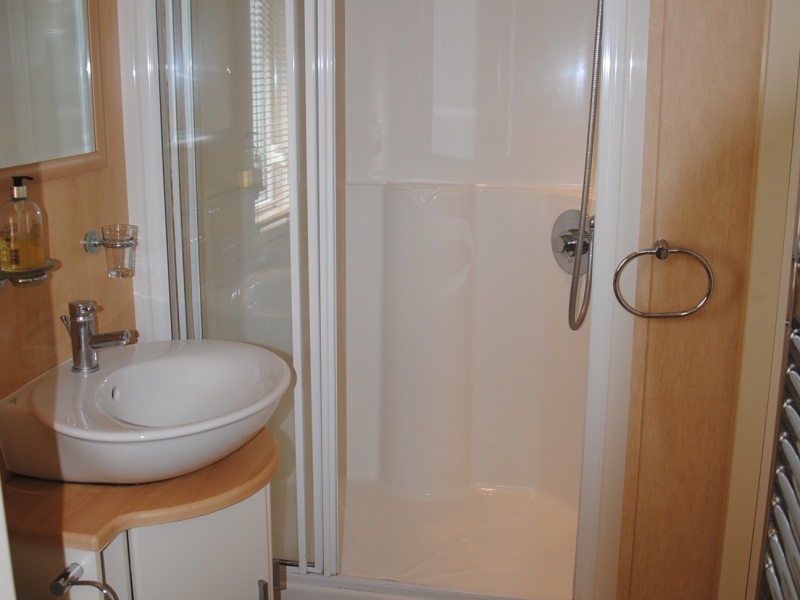 The en-suite shower room has a ‘Jack & Jill’ door into the central hallway. 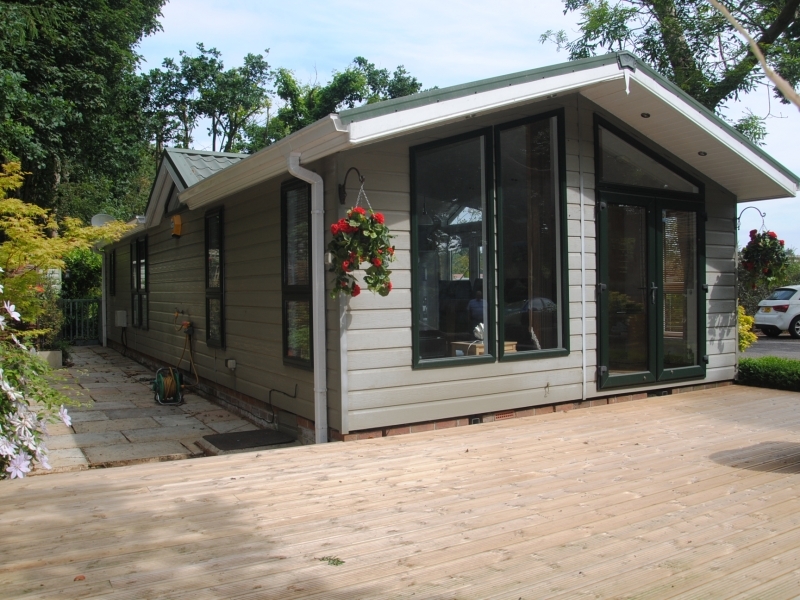 Outside the plot is attractively landscaped with a large new deck, patio and plants complimented by views through woodland. There is off road parking and a path to the door. 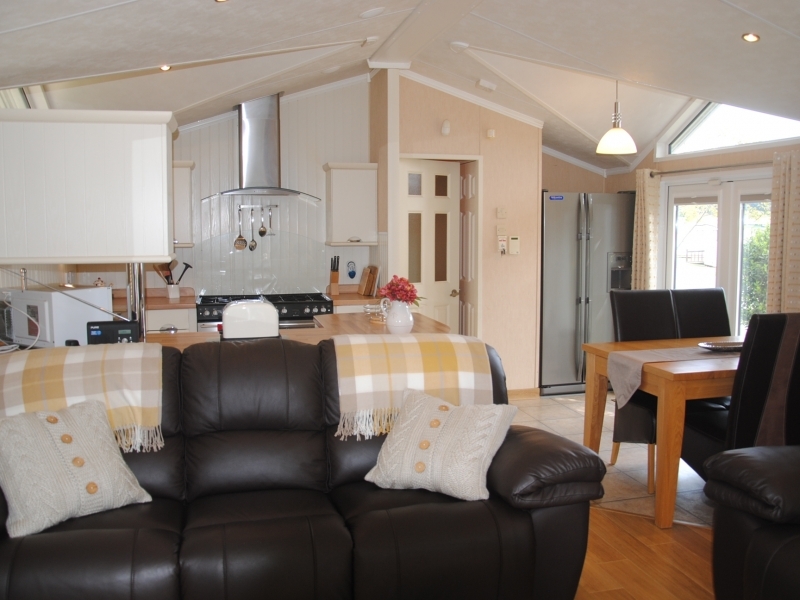 This holiday home is sold as seen, fully furnished with many extras. To Download the PDF: Right click and choose print. Change the destination to "Save As PDF" option in the print screen options.